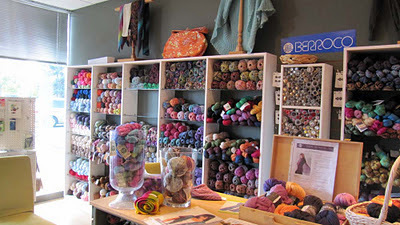 A couple of weeks ago ﻿I visited one more yarn shop, The Knitting Room. I think that I've now been to all the local stores. Of course, I'll have to revisit Pudding as it's been a few years since I've been there. 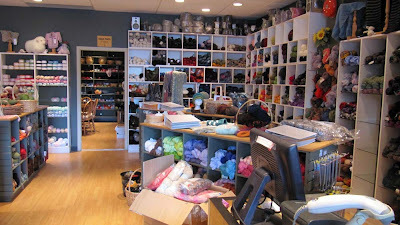 As you can see, The Knitting Room is a very well-stocked shop. 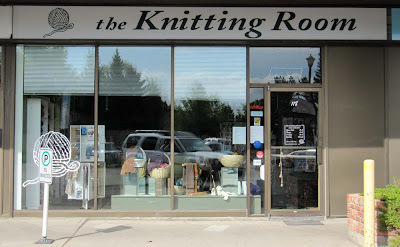 I was greeted by the charming manager, Marnie, whose love of knitting was obvious. My only problem with the shop was finding it. I put the address into my GPS and headed out. The voice told me that I'd reached my destination but I was in the middle of a highway. The store is actually a little bit away from the highway, closer to Varsity Estates than Crowchild Trail. 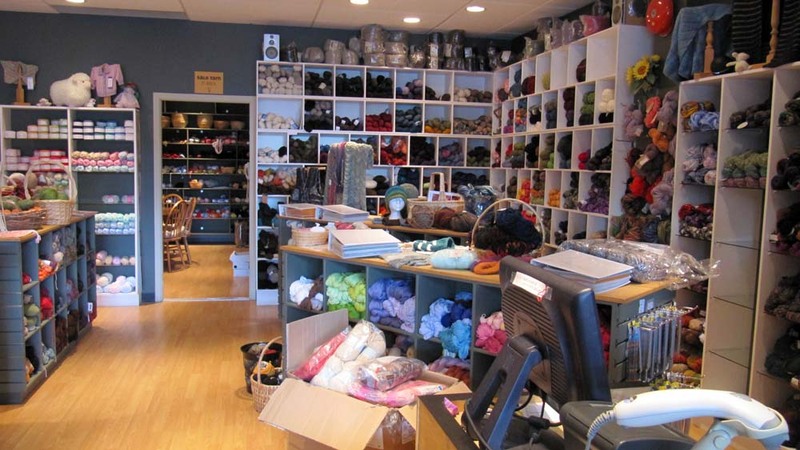 I was very taken with the pullover that you can see on the wall (below), the off-white one with the circular yoke. Since I have so many projects planned already I resisted the temptation to buy the yarn. 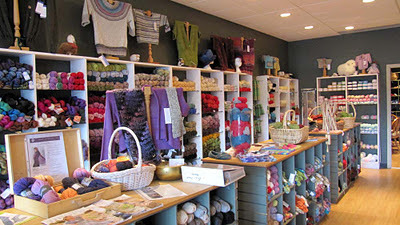 I did, however, buy the pattern, Turia, knit in Berroco Lindsey yarn. If I ever make the sweater, I'll lengthen the sleeves. With all of these excellent stores in Calgary, Cochrane and Canmore, I'll be well-supplied for the future, and well-tempted, without a doubt. Isn't Marnie great? My mom really likes her... and the Knitting Room, and the nail salon two doors that does a great pedicure for an awesome price. I'm also smitten with Bernard Callebaut Chocolates in the other direction... and the yoga studio upstairs... and the tattoo parlour, too. A strip mall with everything! (Almost.) The Loop does have an amazing pizza parkour right next door to it. I'm blushing a bit... Finding the store is always a problem, but I'm certainly glad you did!